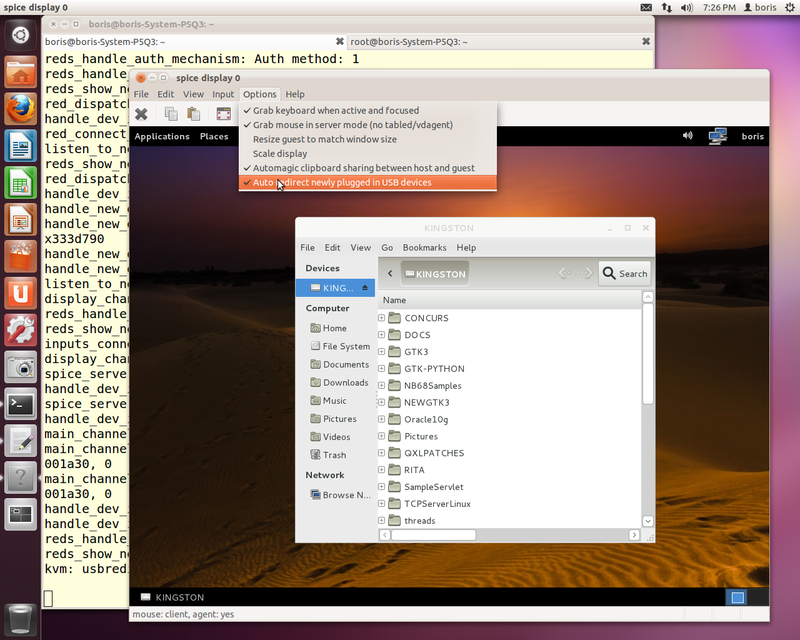 Spice-Gtk-0.7.4X has been built up on current snapshot of git://anongit.freedesktop.org/spice/spice-gtk to obtain Spice-Gtk with usb redirection support working stable with Spice 0.9.1. 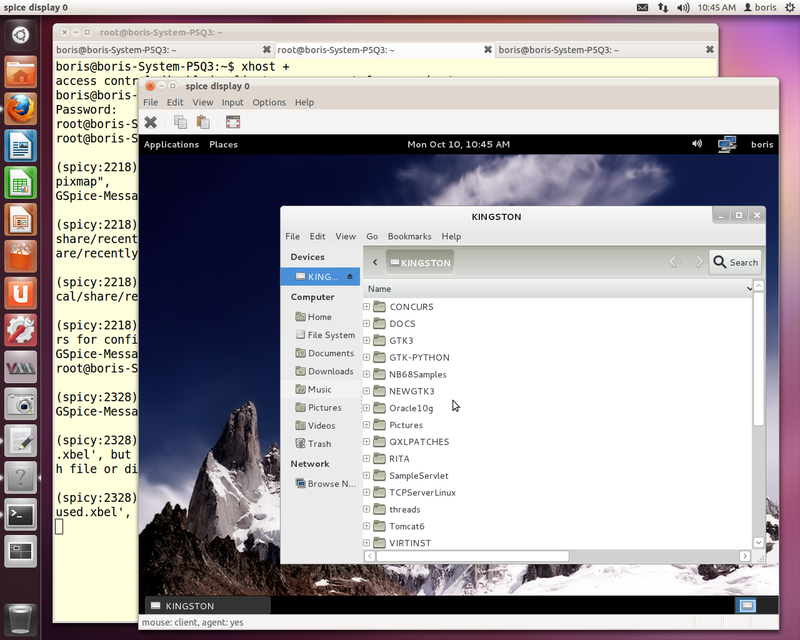 Build done on Ubuntu Oneiric.Packaged version version of Spice-Gtk-0.7.4X is built up on mentioned git repository with GTK2 and GTK3 as two sets of packages. Details may be viewed here . 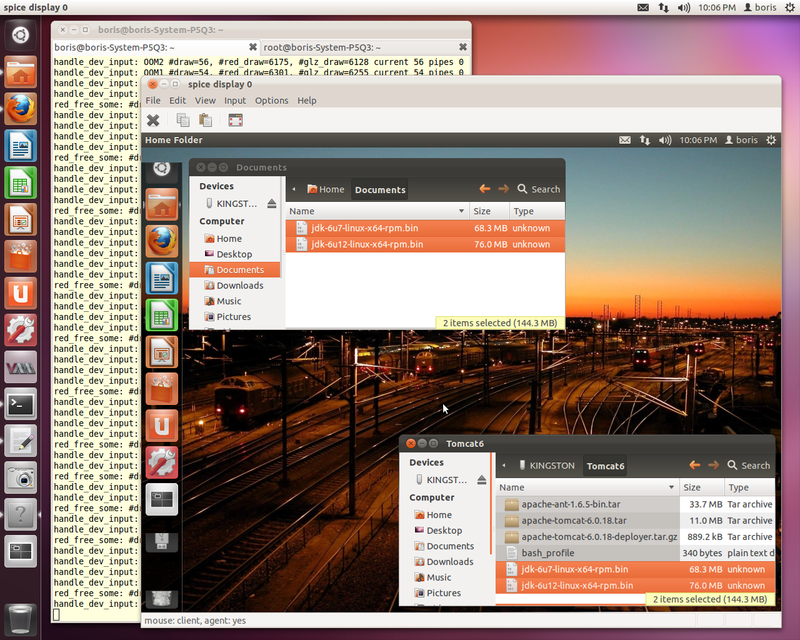 Libusb-1.0-2:1.0.9-3ubuntu9 is built up on git://people.freedesktop.org/~jwrdegoede/libusb (pre 1.0.9). 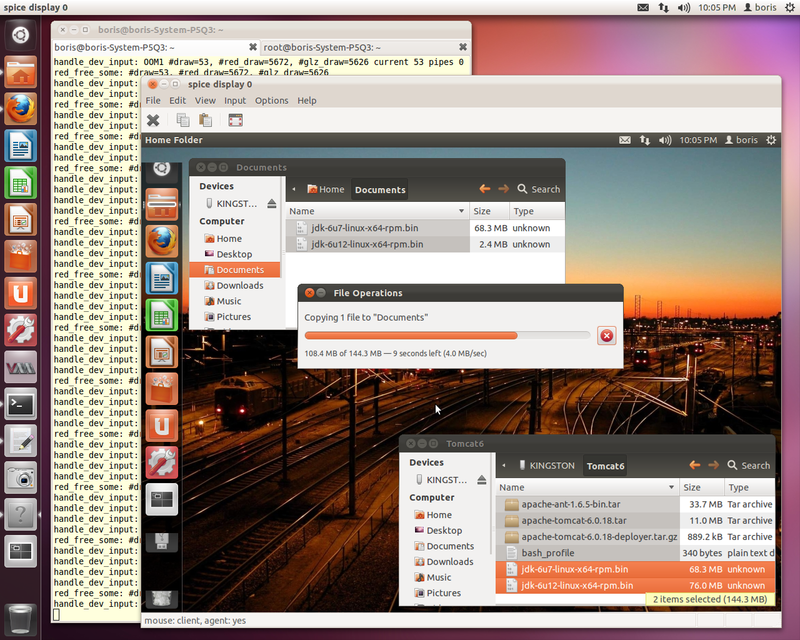 Usbredir-0.3.1-1ubuntu5 is built up on official release usbredir-0.3.1.tar.gz. Plug in USB pen on local box . 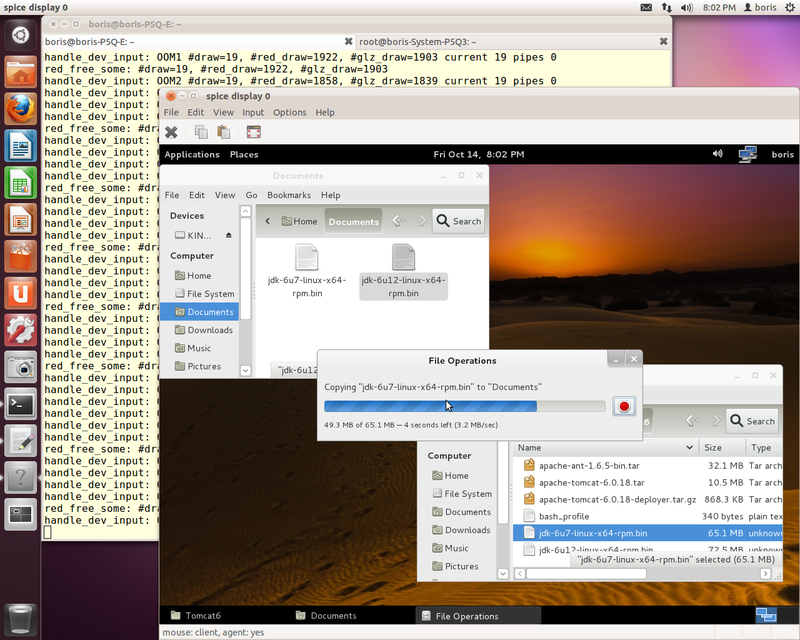 It will be opened in Spicy session with remote qemu-kvm process. Libvirt 0.9.6 is required to avoid qemu command line vm start and managing VMs via virsh XML definitions, what consequently allows to start VMs via virt-manager. 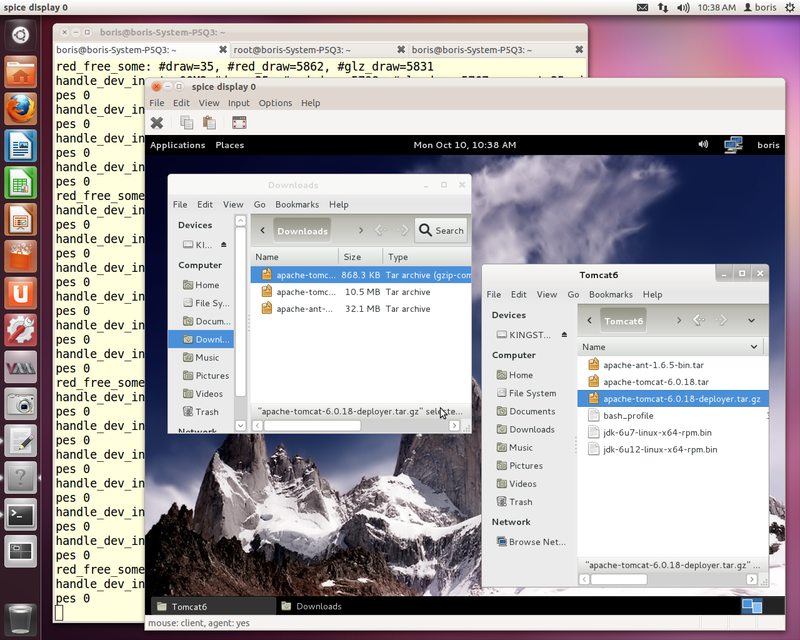 Current version of libvirt in Oneiric is 0.9.2. 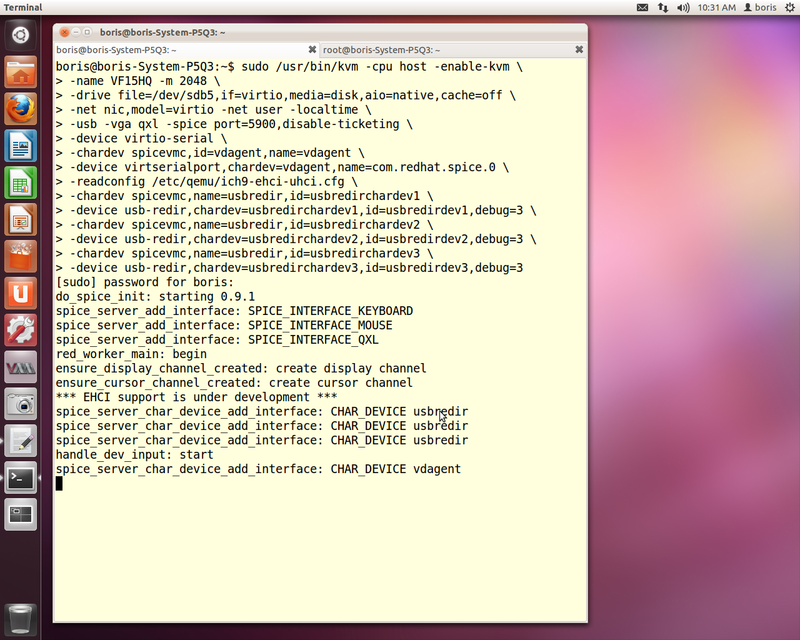 I am not sure what version of libvirt will be choosed for Precise (12.04).Debian Unstable already contains 0.9.6. 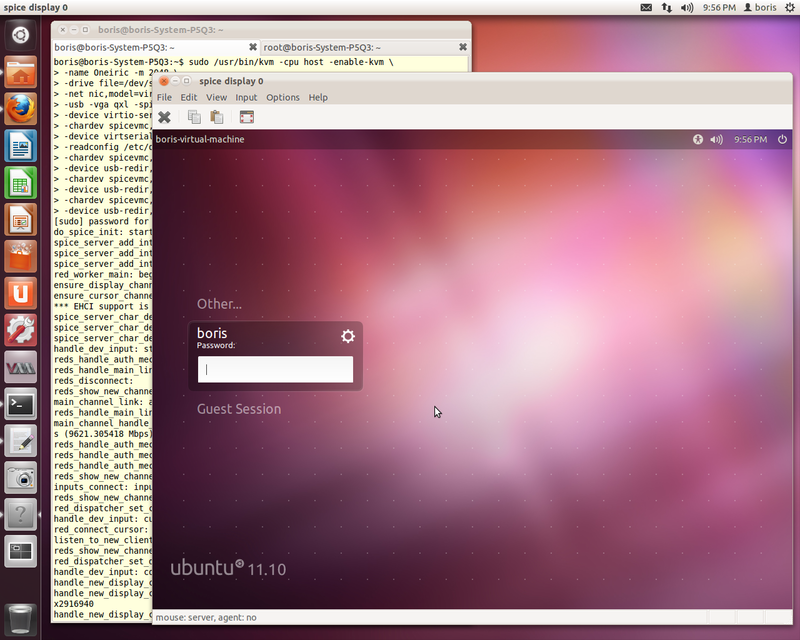 This entry was posted on Sunday, October 9th, 2011 at 2:15 pm and is filed under USB Redirection on Ubuntu 11.10 ( Oneiric). You can follow any responses to this entry through the RSS 2.0 feed. You can leave a response, or trackback from your own site. WoW! you did a great job friend…. by the way, why did you use qemu? why don’t you pick v-box?